Paintings & Prints - Uig Bay Summer, Isle Of Lewis, Scottish Outer Hebrides. 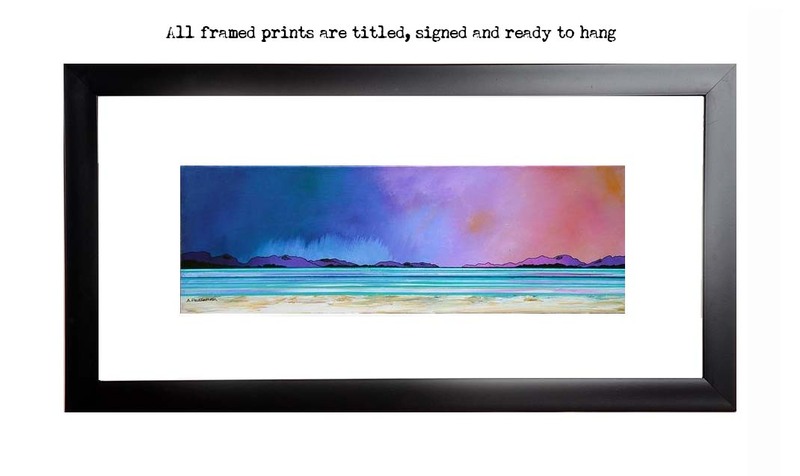 An original painting & prints of Uig Bay Beach, Isle Of Lewis, Scottish Outer Hebrides. An abstract, atmospheric Scottish landscape painting of Uig Bay beach, Isle of Lewis, Scottish Outer Hebrides. Uig Bay Summer, Isle Of Lewis, Scottish Outer Hebrides. Painting and prints by Scottish contemporary landscape artist A Peutherer.